Australia’s disruptive loan leader, Lodex, has secured investment from Lakeba Group, an established innovator in the tech sector. 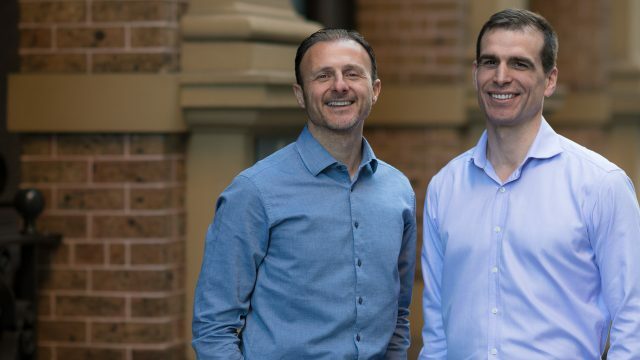 Lodex, Australia’s first auction-style loans and deposits marketplace leader, has secured capital investment from Lakeba Group, an established Australian technology innovator. “Our investment in Lodex signals strategic intent by the Lakeba Group to create a stronger foothold in the dynamic and fast-growing digital financial services sector, and by extension the democratisation of lending as offered through BLOCKLOAN. This is an exciting component of the market that will grow quickly. By taking equity in Lodex, we seek to future-proof Lakeba, enabling our firm to take an active role in the digital financial sector,” said Giuseppe Porcelli, CEO and Founder of the Lakeba Group. Currently, digital wallets are a single product focus, and there is a lack of access to cryptocurrency investments and to personal data. The Lodex Digital Wallet aims to be a one-stop digital banking services wallet, providing both financial services on the mobile and access to tools, all in the one destination. The Lodex wallet will include payments in both crypto and cash, debit card, trading crypto services, the marketplace for loans and deposits, P2P crypto lending and a whole array of integrated financial options. It is due to launch in Australia in early 2019. Challenging the financial industry through tech and data. The founders of Australia’s first auction-style loans and deposits marketplace, created Lodex to simplify and empower people, through access to unique data and technology, on a fast and secure platform. Lodex’s vision is to be one of the world’s greatest digital banking service wallets, empowering consumers through optionality and the access to, & control of, their data to reach their potential. BLOCKLOAN is the ultimate credit blockchain infrastructure including protocols and other digital assets products. Our mission is to deliver global access to funding through the power of blockchain technology. Built on the foundations of smart contracts, deep industry experience and an existing pioneering business model, lodex.co, with over 50,000 users.